Can Eating Eggs Raise Your Cholesterol Levels? Home » Living Healthy » Can Eating Eggs Raise Your Cholesterol Levels? One of the simplest and most nutritious foods, eggs, is defamed due to high cholesterol levels. But does it really affect your body cholesterol? Find out here. 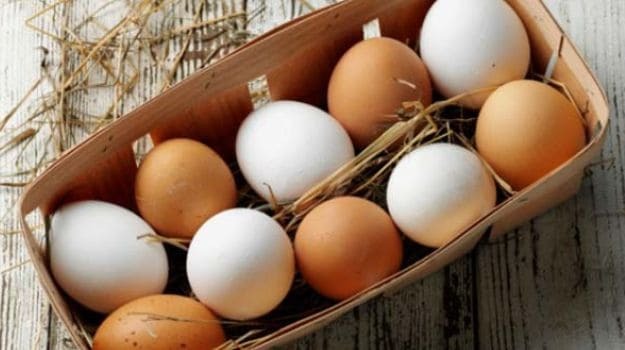 How do eggs affect cholesterol levels? 'Sunday ho ya Monday, roz khao ande!' Okay, but how many? Eggs are one of the simplest yet most nutritious foods available to us. Proteins, iron, vitamins, minerals and what not, this one superfood has it all! One single egg, if kept properly and taken care of, can produce a whole chicken. So you can imagine how healthy eggs are. But despite of its high nutritional value, eggs have gained a bad name due to the high cholesterol level. The yolk is 186 mg of cholesterol (62% of your daily intake). This is probably what has gained eggs a bad name. Also read: So... Why Do We Eat Eggs For Breakfast? The yolk of an egg is all fat and cholesterol due to which people fear from eating too many eggs as it may spike their cholesterol levels and risk heart diseases. But, do eggs really spike a person's cholesterol levels or is it just a myth? So when you hear the word cholesterol, the very first picture that comes to mind is high fat food and a heart attack or any other heart disease for that matter. However, this entire thing works quite differently. Your liver produces cholesterol itself so when you end up eating a lot of cholesterol, your liver produces less of it. The much defamed cholesterol is actually very important for your body. It is an integral part of every cell membrane. So you need to know the fact that without cholesterol you may not even exist. That is how important it is for the body. The body only changes levels of cholesterol due to diet. How many eggs are safe for you? When it comes to consumption of eggs, you must have seen people go for egg whites and not the yolk. For yolks, you may have 2-6 in a week. But these are just random recommendations without many facts to support their limitations. The effect of a whole egg depends greatly on the individual. If a person is suffering from high cholesterol, eggs can be eaten but the intake needs to be regulated (4-6 in a week is fine). But for a healthy individual, three eggs a day is just the right amount. Are Eggs Affecting Your Cholesterol?